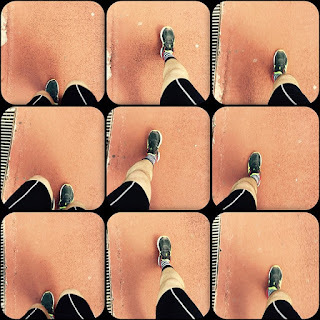 Follow this simple guide of 8 weeks walk/run and do the unimaginable. Do you want to be a runner but every attempt you have done exhausted you? It makes sense. It needs brains, not effort. In addition, running needs moderation, so the logic “go for it” will lead you to injuries with a mathematical precision. You must begin running slowly to ensure that the body will gradually adjust to these conditions. But in the end you will do it! You will be bale to run for half an hour!!! There is an excellent article in Runner's World for people who want to start running but don’t dare to try or don’t know how to do it. 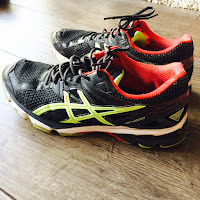 Because is it easy to wear your sports shoes and go out on the road or in the track and start running, but if you don’t know and what to do, it is most likely to get tired, disappointed and give up. And if pain and suffering is all you remember, you will soon give up any effort! Isn’t it a shame not to do it more effectively? The following program is for everyone who is about to start running now and have no clue how to do it. It is consisted of 4 three-week training sessions per week of mixed walking and running. 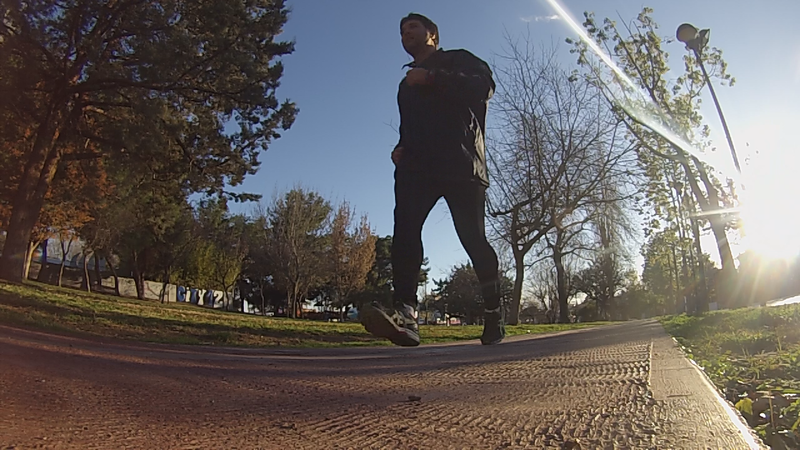 For example, the first week starts with a minute run, two minutes of walking. Repeat this ten times. As the weeks of training will pass, walking will be reduced and the running time will be increased until you will be able to run half an hour in the end! And depending on your rhythm, you will be able to cover four, four and a half or even five kilometers. Of course you can! Think about it, focus and DO it ! This is a clip from my preparation on AlmiraMan 70.3 long triathlon. The mind needs a preparation to get into this process. You can’t wait until the last half hour to see if you will have the desire to go or not to workout. You will go. And to go running you MUST have a program. 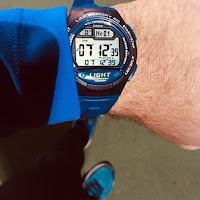 Specifically, plan exactly what time of day you intend to go running. The tactic I followed in this case was to write in diary of my mobile application all the 8 week workout, together with the corresponding running minutes in detail. So, watching the program in the coming weeks, I could that there was workout between work and important events. Specifically I had to do 5 minutes of running – then 1 minute walking and repeat this five times. That is, five 5-minute iterations of a run with a 1 minute walking break. The mind saw it, processed it, got used of it as an idea, and eventually, when I went to the track I was able to do it. Don’t just hurry to run. A four-minute fast walk will warm you up well before you start. A simple round of walk around the track to reduce the pulses naturally is absolutely necessary. Certainly a stretching routine will help you develop the elasticity the body needs. Coach Nicole shows us such a routine in her clip. Apply ice to muscles, joints, knees, and ankles before bathing at home. (Some just apply cold water in their bathroom, I prefer ice). This is my favorite streching routine and I try to follow it always after a run to decrease the chances for a wound. 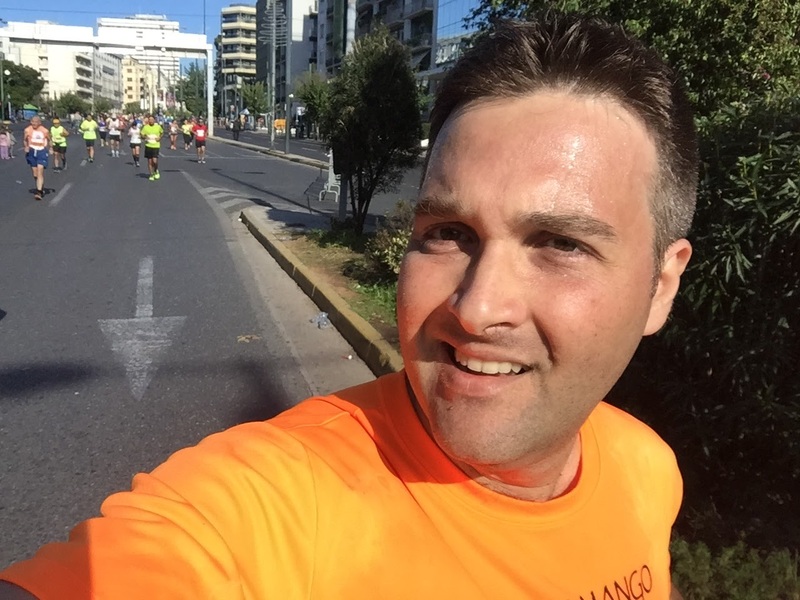 How and why I started running. Everything can happen under some conditions of course, with the creation of appropriate reasons and motivations that make you think and act differently. After a successful plan not to use the car, the motorcycle or the bicycle unless it was an emergency and instead use my legs –this outdated mean of transportation since the invention of wheel-, and after I realised that I wouldn’t dying of fatigue by walking, I decided at Easter of 2015 that It's time to take a little on the run. On a trial basis of course. I had been torturing the idea of running in my mind for a long time. I had started a fast walk in 2009 with a colleague, but I quickly gave up when the pains, cramps and disturbances on the muscles began. On the other hand the cycling which I started later had a clearly more tourist interest than seeing a stadium for forty minutes like I did with running. With the bike you move, you see sceneries, landscapes, things. And in a little while you're by sea. So I decided to engage in running, which I never expect to start and I didn’t even plan to try, especially since 2003 and on, when my pounds took off. It all started when in the summer of 2014 I found out that I could swim about one kilometer in half an hour without stopping. And this, even after 30 km of cycling. And then I wondered: "Since I can cycle, I can manage swimming, if I ran too, would not that be a triathlon if that was going on consecutively?" The winter came and I didn’t go any further with swimming, only cycling, until I read that article for those who want but don’t dare to try or dare but do not know how to start. I started this program and everything was fine until I started having pains on the third week of training. The pains were unbearable; in the legs and in the front muscles that join the ankle with knee. Not the calves. The calves were well since the first day because of cycling. But the pains in the legs were a torture that I couldn’t walk, and even some simple walking was martyrdom, let alone attempting to run or do simple jogging. The solution was given by my trainer. Ice. Ice on the knees, legs and ankles EVERY time after each workout. And the next day after the training, too. Stretching and ice. And walking for recovery the next day of the training. That's it. From week 5 on, the pains were gone and everything was under control. The only thing I cared about was whether to run continuously 20, 21, 22 or 23 minutes before the one minute break. The 8th week arrived and with it I managed to run 5 km in half an hour. Goal achieved! I am alive and I now have new sports goals. Ole! Please leave a comment if you found my article interesting and feel free to share it with your friends!